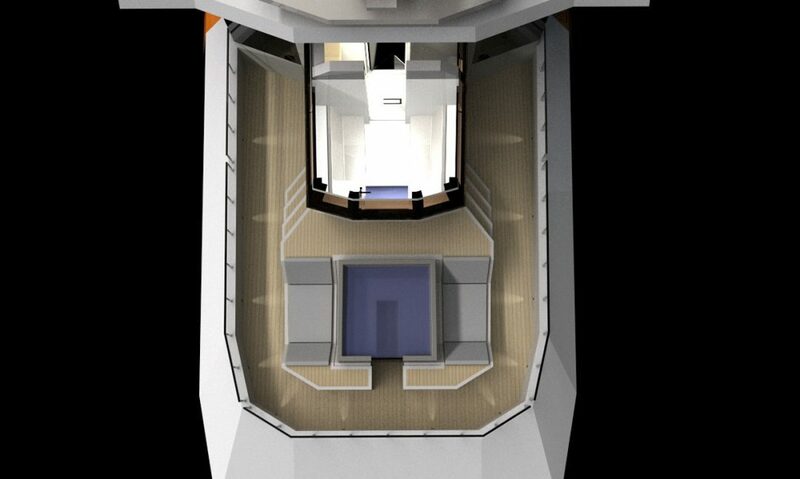 Range at 14 knots | 5500 n.m. 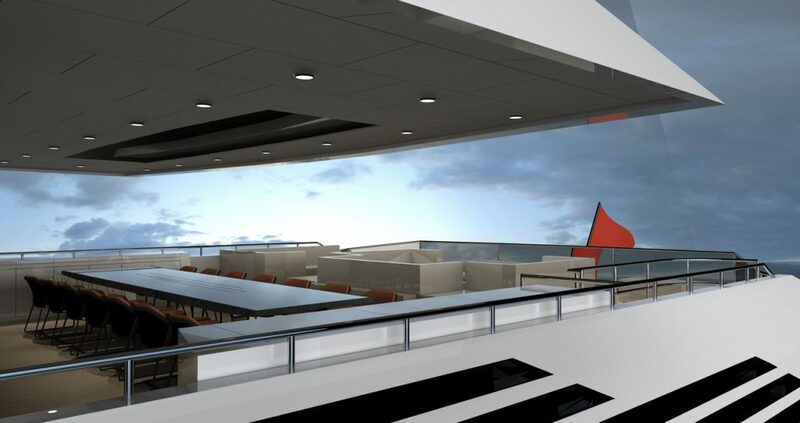 In 1896, the American architect Louis Sullivan stated „Whether it be the sweeping eagle in his flight, or the open apple-blossom, the toiling work horse, the blithe swan, the branching oak, the winding stream at it’s base, the drifting clouds, over all the coursing sun, form ever follows function, and this is the law“ in essence, a structure must exhibit three qualities, it must be solid, useful and beautiful. 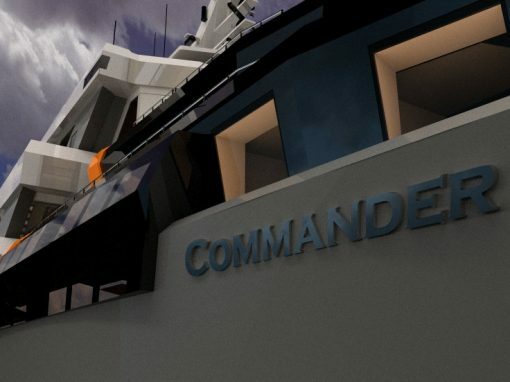 It is this concept of „form ever follows function“ that has been applied to deliver this extraordinary design that is COMMANDER. 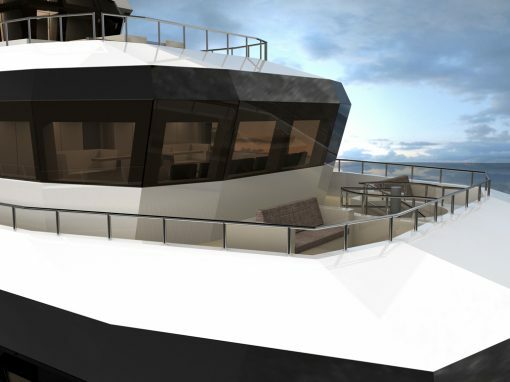 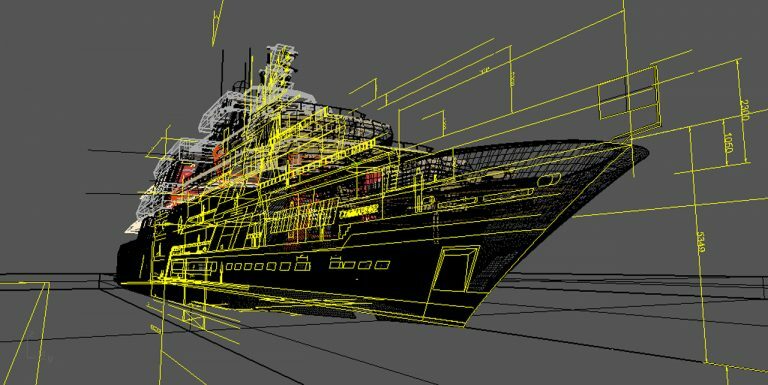 This massive, muscular and beautiful design provides an exceptional platform for extended global cruising in all weathers. 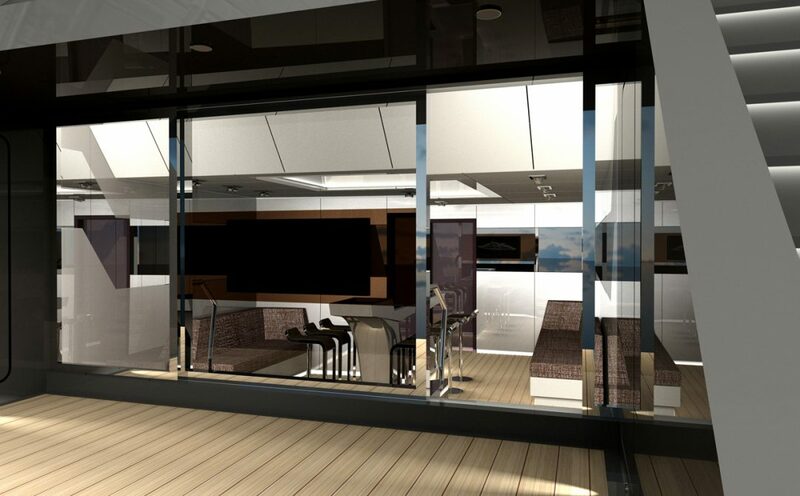 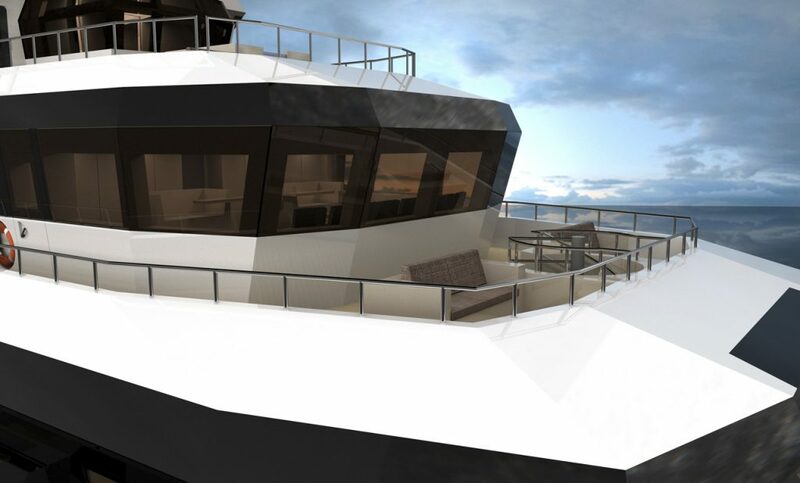 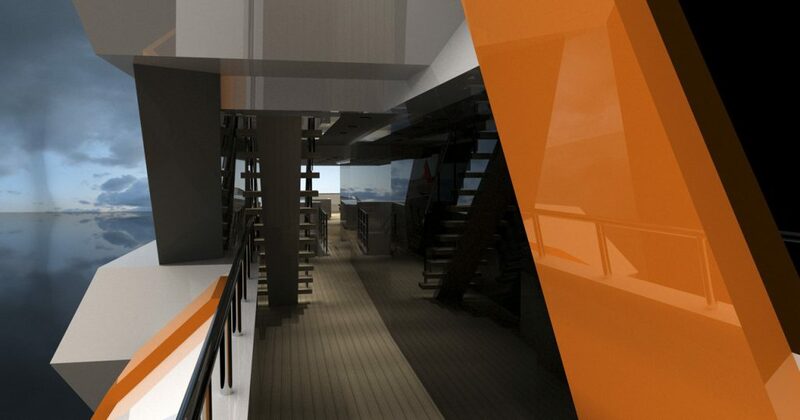 The high volume accommodation allows for some unique touches such as private owner’s and guest balconies, the art display areas and casino, whilst the capacious outside deck space includes a sports deck, a terrace on the sea and spacious pool. 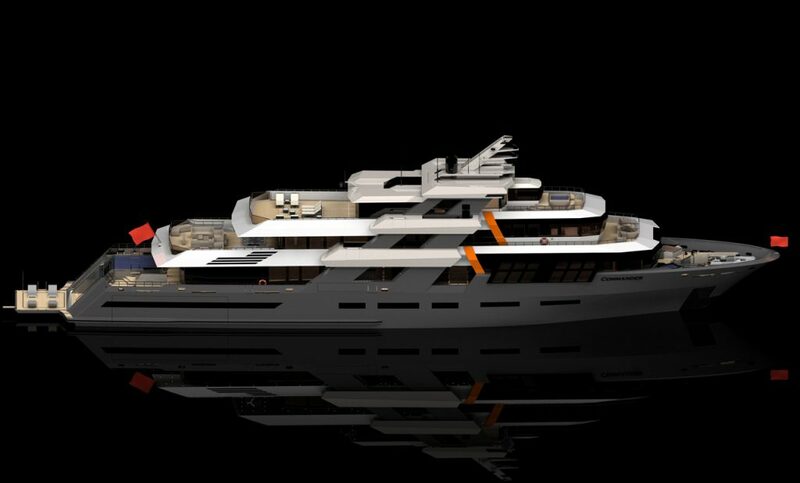 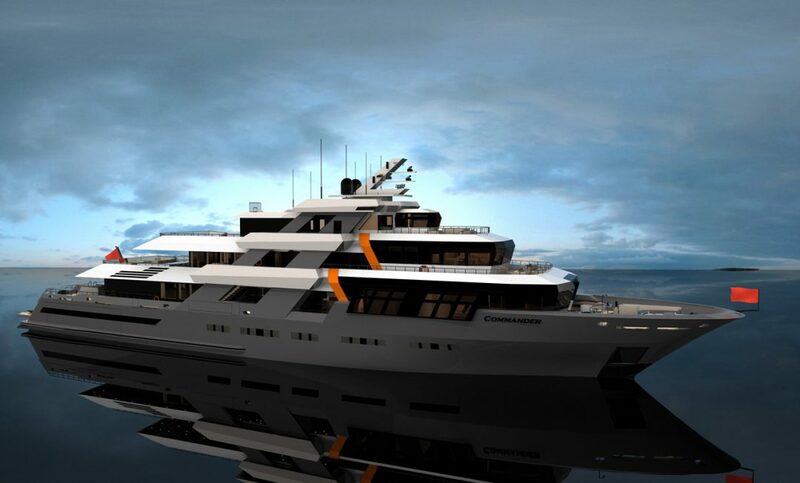 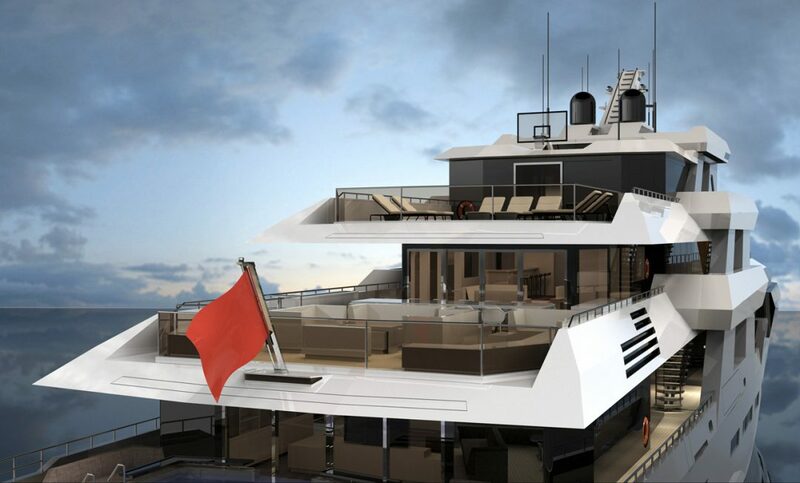 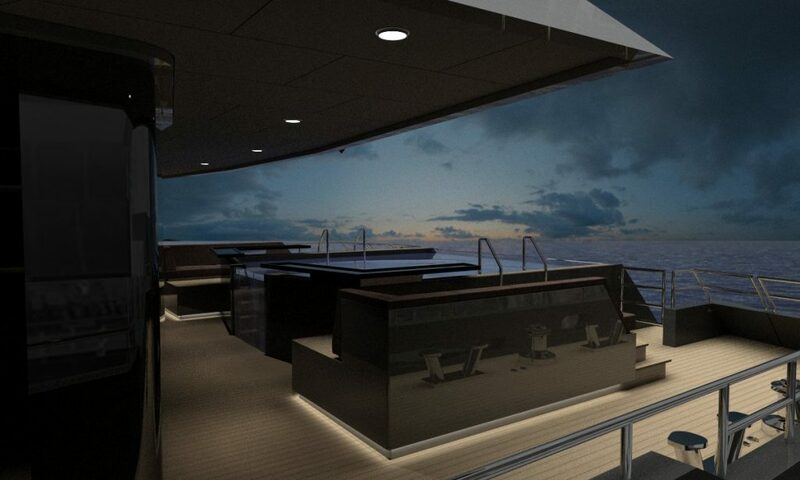 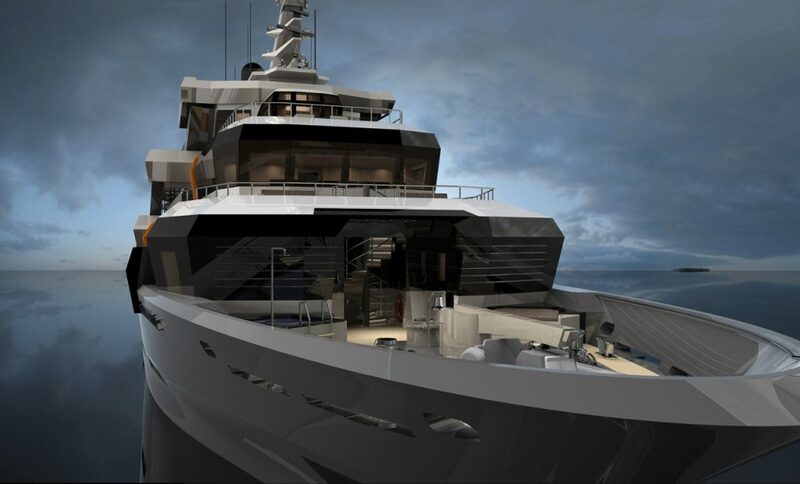 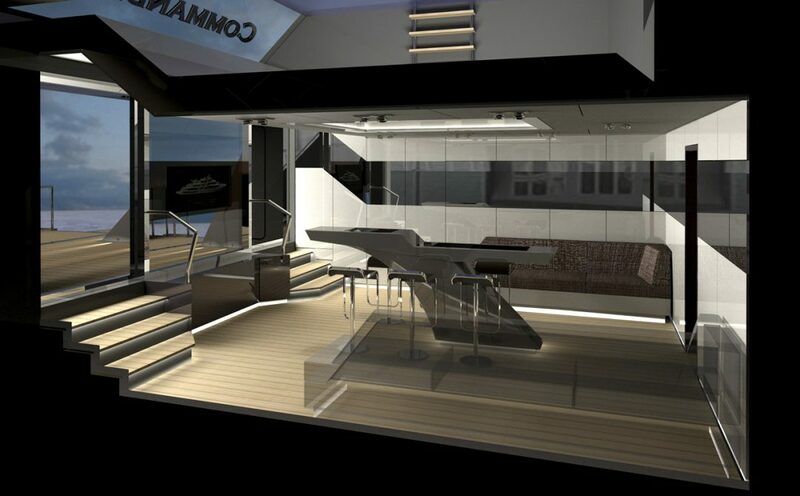 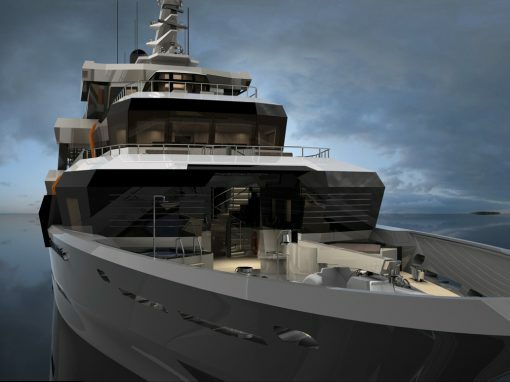 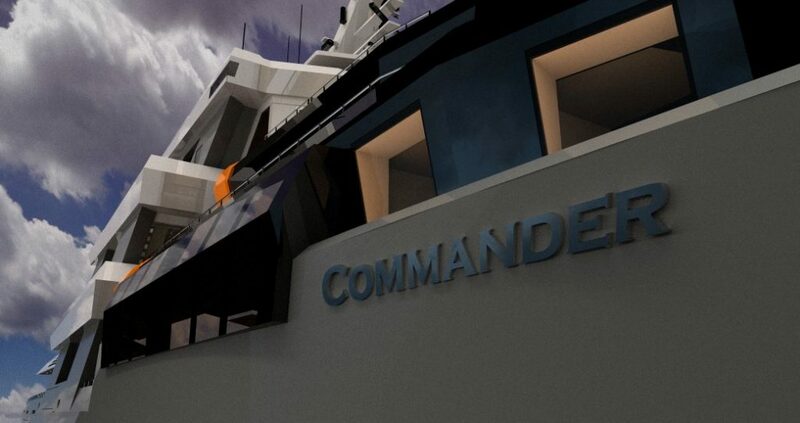 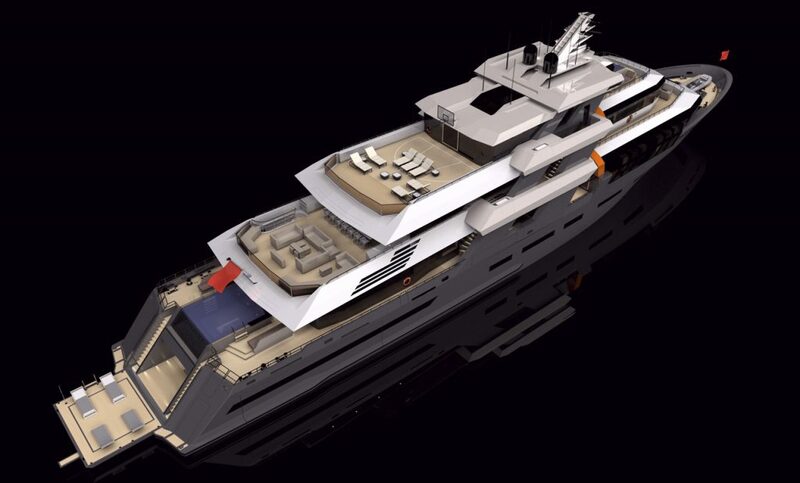 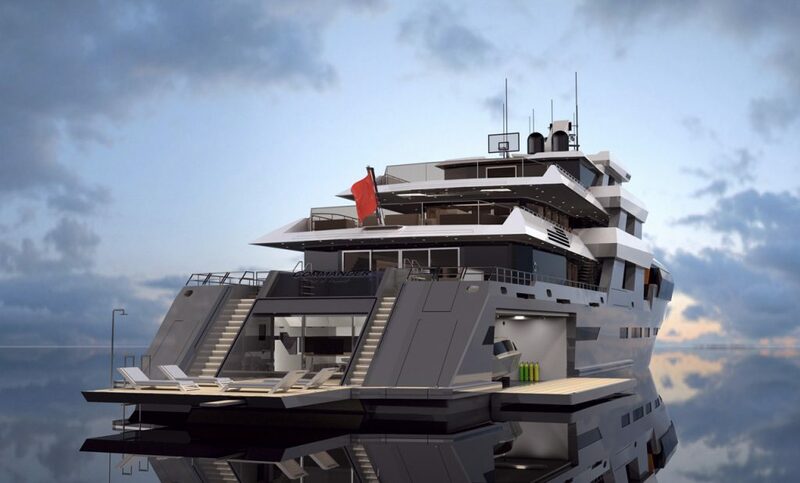 COMMANDER comes in two variants 68m & 75m. 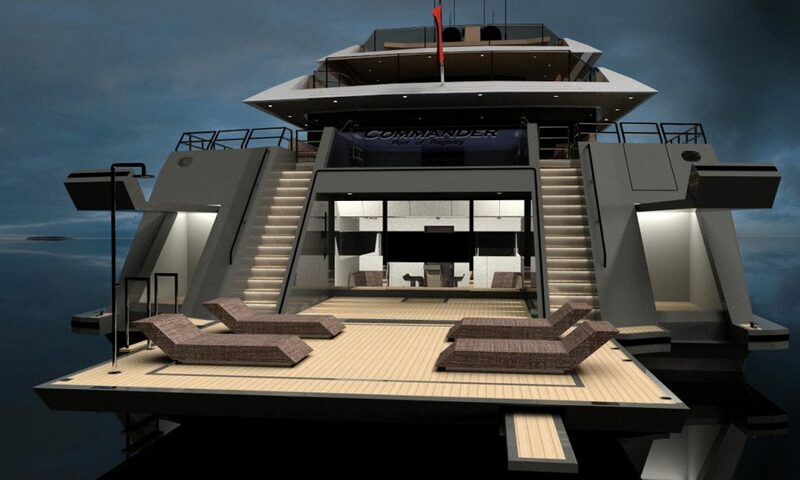 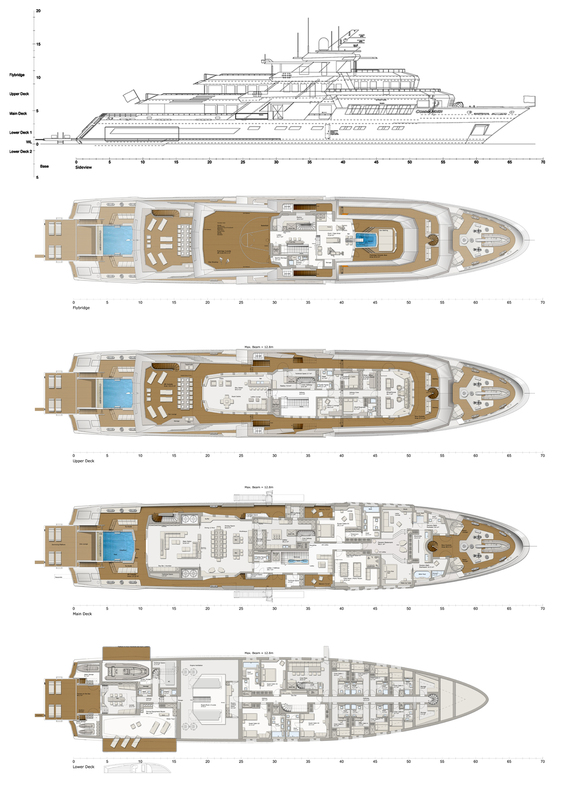 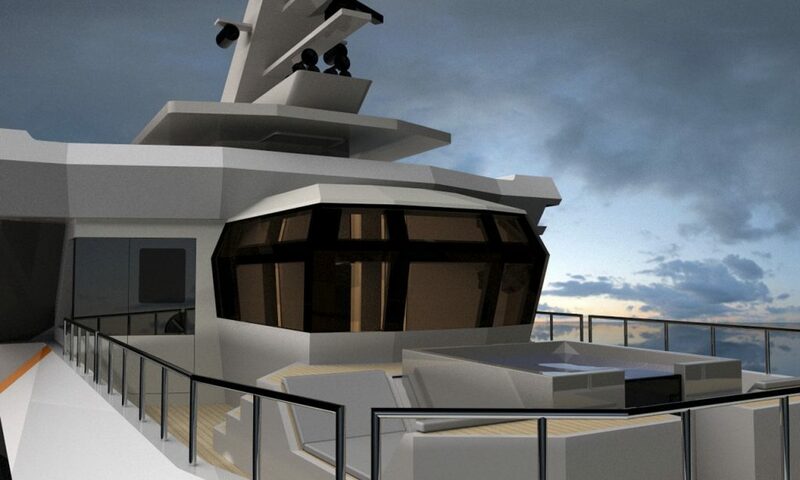 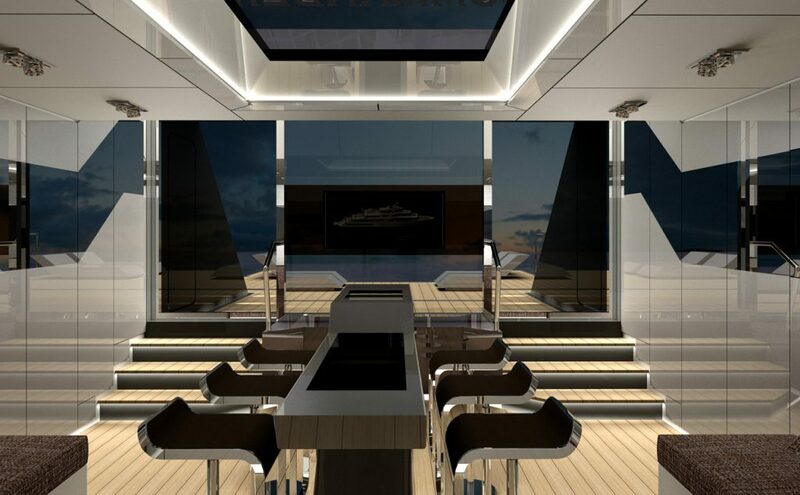 about the 68m Commander Megayacht?